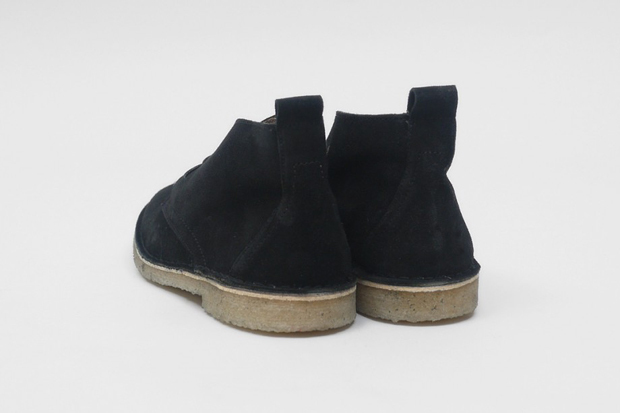 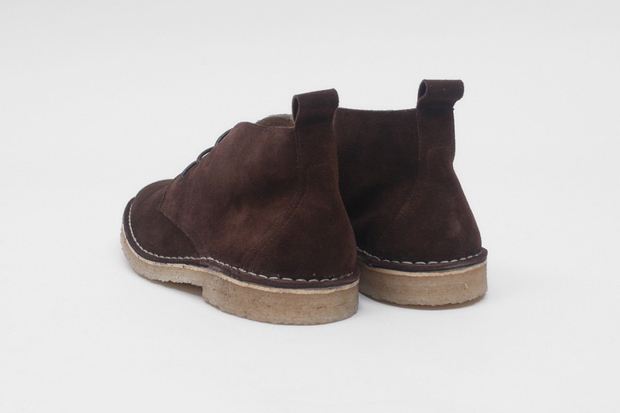 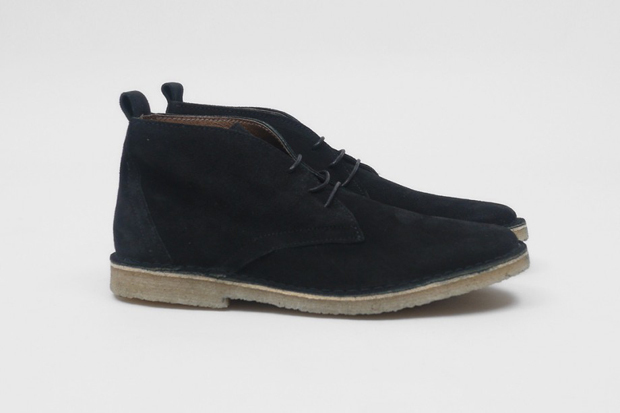 PRESENT have created a classic and timeless Desert Boot for AW11, made from premium suede on a crepe sole unit. 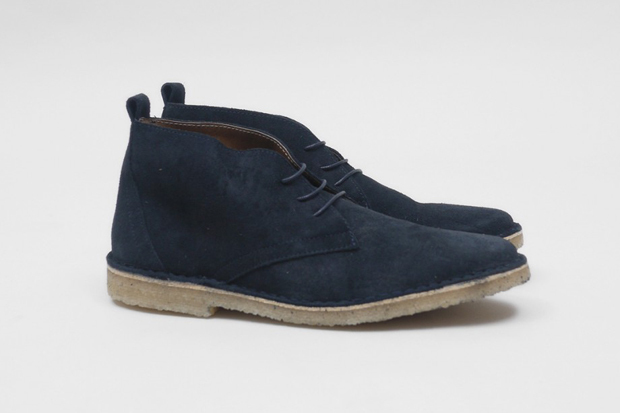 The market for Desert Boots is rightfully dominated by Clarks Originals, however it’s always nice to see alternative brands entering the mix. 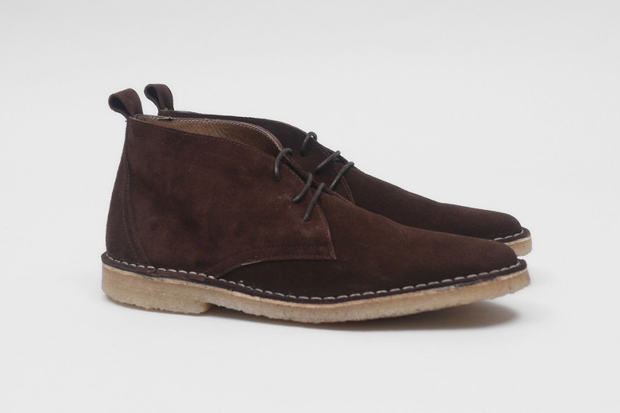 This time it’s East London’s Menswear gurus PRESENT, bring a luxurious suede Desert Boot to the table. 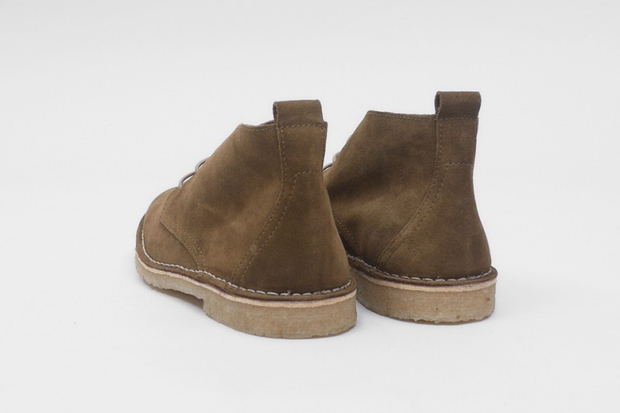 Sat on top of a soft crepe sole unit, like a Desert Boot should be, there are four rich colours to choose from; Khaki, Marron, Marino and Black. 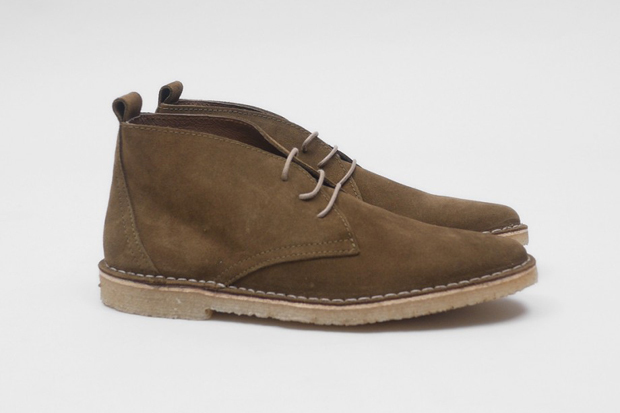 Slim leather laces and a leather lining finish these boots off nicely; clean, simple and elegant. 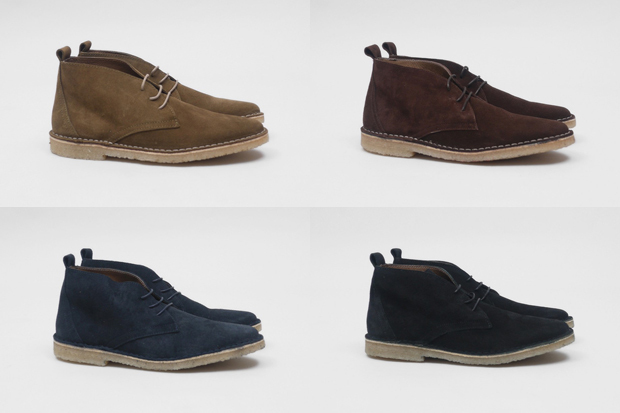 Pick up a pair online and in-store from PRESENT now for £95.